Some female voters at a polling unit in Bauchi caused a stir when each of them kissed her ballot paper and shouted “Sai Baba” before casting her vote. Newsmen report that the drama, involving some women, occurred at the veterinary polling unit of Dawaki Ward in Bauchi metropolis. 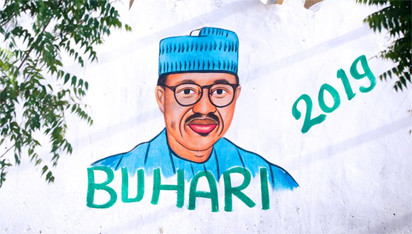 “Sai Baba” is the common phrase used by supporters of President Buhari while campaigning for him. The women declined to comment when contacted by newsmen. Presiding Officer in charge of the polling unit, Miss Faiza Mohammed, however told newsmen that turnout of women was impressive, with some of them, over-enthusiastic. “The women are very excited and eager to cast their votes; some of them were kissing their ballot papers and shouting ‘sai Baba’ before casting their votes. “I do not know which ‘Baba’ they are referring to,” she said.